My hero is always on the move. That’s because the sleuth in the Highway Mysteries series drives an eighteen-wheeler up and down the west coast of North America. Even truck drivers need a little R&R now and then, and that’s what brings former RCMP homicide investigator Hunter Rayne to the resort community of Whistler, British Columbia in the third Highway Mystery, Sea to Sky. While Hunter enjoys a few days of downhill skiing, he plans to become better acquainted with an attractive female lawyer he met in L.A. He doesn’t, however, plan to become the prime suspect in a murder on the mountain. The town of Whistler became familiar to many winter sports fans around the world when it was the site of Alpine events at the 2010 Winter Olympics. 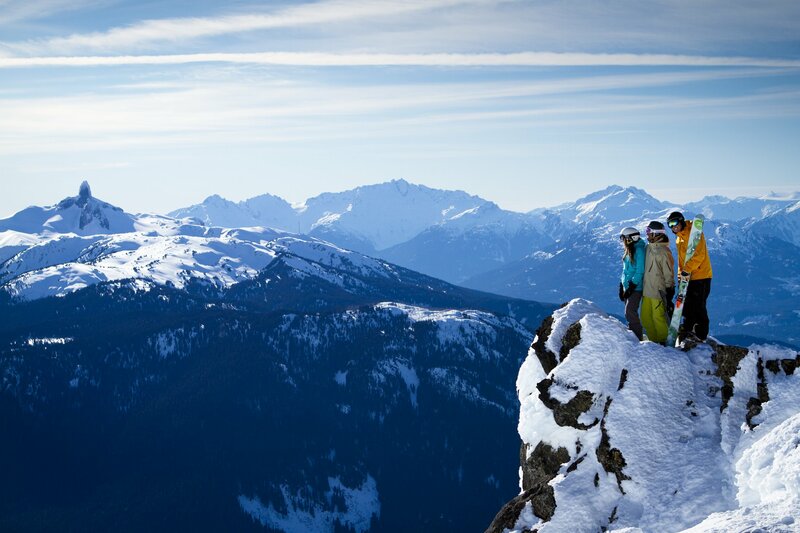 It’s a magnificent setting, with the snow covered peaks of Blackcomb and Whistler Mountains towering some 5000 feet above the attractive and upscale Village of Whistler, where you can walk to dozens of shops, restaurants and bars. Yet Whistler is only a two-hour drive from the port city of Vancouver, or four and a half hours from Seattle, the last hour of the drive on the spectacular Sea to Sky highway as it winds its way upward through the coastal rainforest and along the rugged shores of Howe Sound. And check out the Anastasia Pollack mysteries while you’re there! Tags: barnes and noble, crime, ebook, kindle, kobo, murder mystery, mysteries, mystery series, RCMP, Whistler, Whistler Blackcomb | Permalink.